As with some other chakras, there is a confusion about the location of the Manipura Chakra. 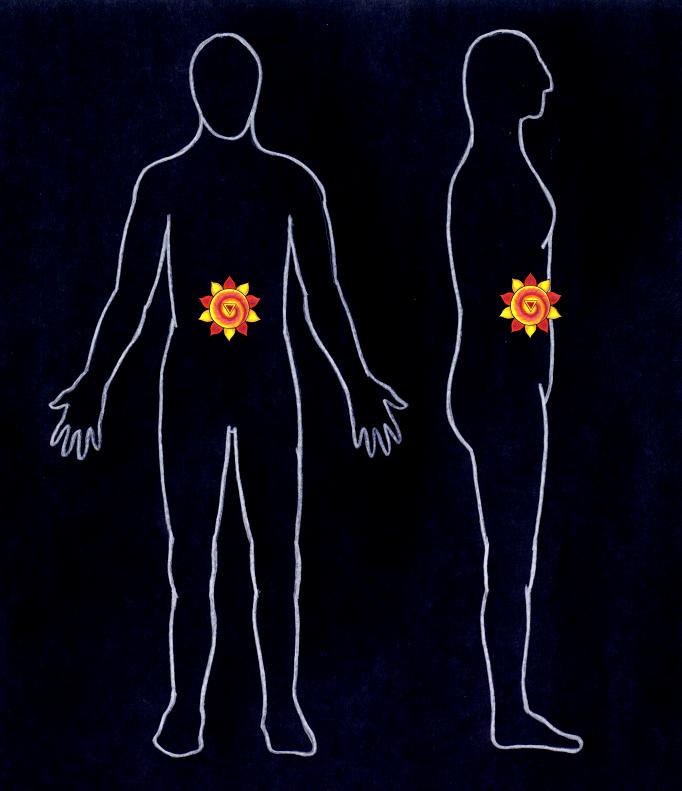 Solarplexus Chakra, Navel Chakra and Manipura Chakra are sometimes referred to as only one chakra, lying either around the navel region (traditional view) or at the solarplexus (mostly in theosophic writings). However, the qualities of both chakras may be quite different. You can find more information about these two chakras on this recommended site: Kheper. 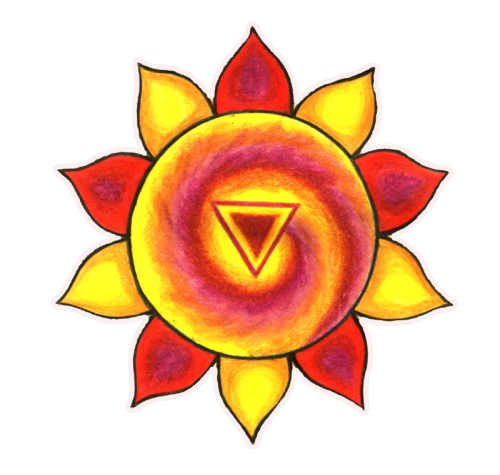 In modern chakra depictions, the third main chakra – may it be the Solarplexus or the Manipura Chakra – is associated with the colour yellow or orange-yellow. The traditional "Manipura Chakra" is located at the navel region and has ten petals. It is associated with the element fire and has a great importance in India, especially in Tantrism, and also in Tibetic Yoga. 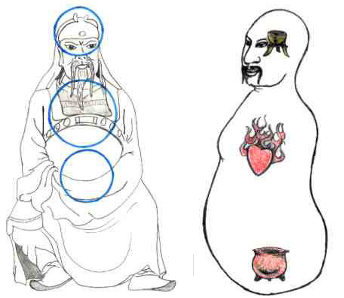 In Taoist Yoga – which does not deal with chakras – this energy center is of essential meaning. Here, it is the ‘fire cauldron of the heart’ (heart as the center of emotions and feelings). Partly, this matches the Anahata Chakra, but in part also corresponds to the Manipura Chakra. However, the identity of the lowest of the "triple heaters" in acupuncture and in Taoistic Yoga is quite plain – it is described as being located at three finger’s width under the navel. In contrary to India, Tibet and China, in the theosophic teachings the Manipura Chakra has only little importance. Here, the Surya Chakra (see Other Chakras) is more important and is responsible for mediumship. The Solarplexus Chakra (also called Manipura in some descriptions) is associated with the psyche and the subconscious, which is why the feeling of "intuition" (a vague sense of knowing) corresponds with this chakra. It seems that this chakra is also responsible for the stability of the auric shield against external (emotional, psychic) influences. Emotional instability is likely to be connected to malfunctioning of this chakra.